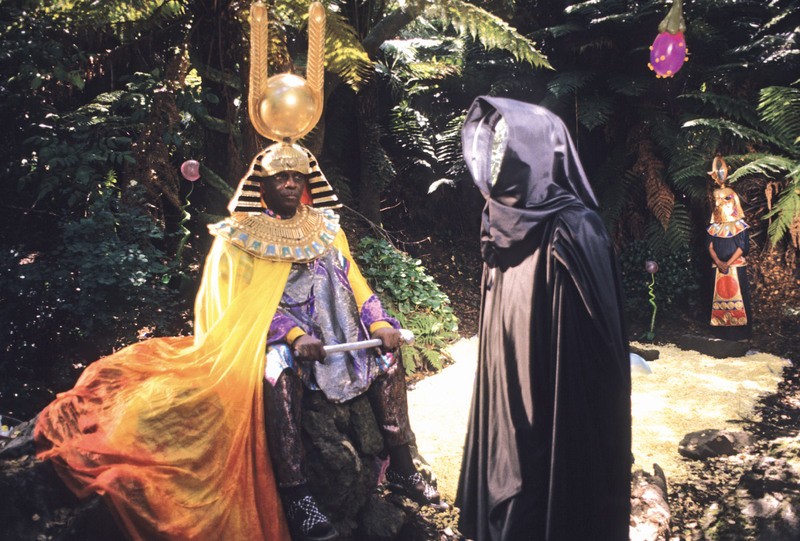 The Sun Ra Arkestra has been playing music since 1952. Originally led by Sun Ra, the 15-piece band is now headed by Marshall Allen, a founding member. Its music touches on many styles—big-band jazz, avant-garde, space chants, exotica, and more. A leading proponent of the Afrofuturism movement, the Arkestra puts on a legendary kaleidoscopic show incorporating dance, elaborate costumes, and light shows. This will be the Arkestra’s first performance in Portland since 1988 and is not to be missed. The concert will take place in the Museum’s Kridel Grand Ballroom and is organized and presented in partnership with Mississippi Records. Doors open at 6:30 p.m. There will be some seating available, and it is first come first served. Ticket holders can exchange their concert ticket for one free admission to the Museum between January 2 and January 4, 2019 during regular Museum hours to view the MONUMENTS. The Earth Expedition of Sun Ra exhibition. Public programs for We.Construct.Marvels.Between.Monuments. are presented in partnership with c3:initiative.